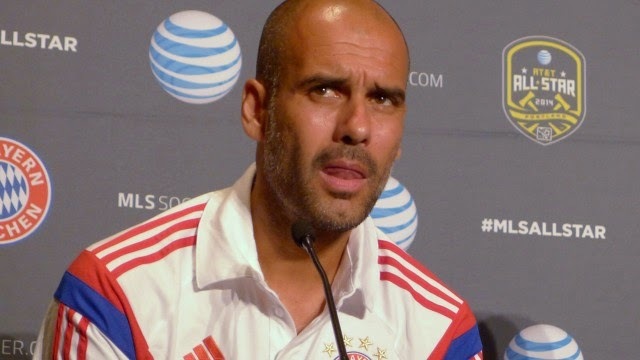 I always thought of Arsene Wenger as the biggest "sour-loser" in football among managers, but Bayern Munich's Pep Guardiola seems to be a close second after his behavior in last night's MLS All-Star match. This year's Major League Soccer's All-Start game marked the 9th consecutive time that the MLS All-Stars faced a European club instead of dividing the league to two teams and playing a West versus East conference match. 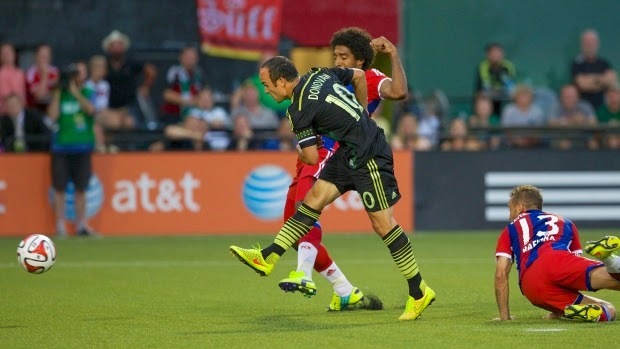 This year's opposition was none other than German power-house Bayern Munich who took on the MLS All-Stars at the Providence Park stadium in Portland, Oregon on August 6th. Usually this one is a friendly affair, but it seems that Guardiola had missed the memo. The match seemed to be going according to plan for the Germans who took an early 1-0 lead via a spectacular half-volley goal from new man Robert Lewandowski. The "Americans" came back however, and eventually won the "friendly" with a 2-1 final score thanks to very impressive goals from Englishman Bradley Wright-Phillips and former Bayern Munich loan striker Landon Donovan. This all-star fixture is always in good spirit and is meant to showcase the most talented footballers of the MLS season, while giving an opportunity for the European squad to play yet another friendly in preparation for their upcoming season. Guardiola seemed to take last night's match a bit too serious however, as he did not seem too impressed with his squad's loss. During the match, "rough play" by the All-Stars seemed to trigger Pep's displeasure as he was staring down the MLS bench after a tackle on Bayern's Swiss international Xherdan Shaqiri by all-stars' Osvaldo Alonso. After the match Guardiola refused to shake hands with MLS All-Stars manager Caleb Porter and at the post-match interviews hinted at the possibility that Porter may have instructed his players to play this way against his German side. Guardiola also seemed quite angry with a challenge made on German Bastian Schweinsteiger which left the midfielder with a "bruised ankle". Obviously the Spanish manager had forgotten that injuries do happen in sports and had made himself look foolish in front of millions of viewers by acting a bit childish at an event that was supposed to be a friendly match.